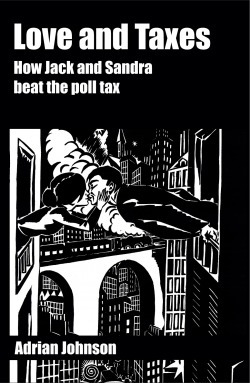 ‘Love and taxes’ the powerful first novel by Adrian Johnson – the city of Birmingham’s former poet laureate. first published in 2010. Read all about how the people felled a political giant in the 25th anniversary year of popular resistance. Jonathan Davidson – director, the Birmingham book festival. Adrian Johnson was the city of Birmingham’s 14th Poet Laureate, writer and storyteller He lives in Smethwick, Sandwell and works across the West Midlands with stories for adults and family groups that spring out of the very earth and heart of the middle lands that he has always lived in.